Best Priced, Low Hour Heritage Chris Craft 36 on the Market Bar None! 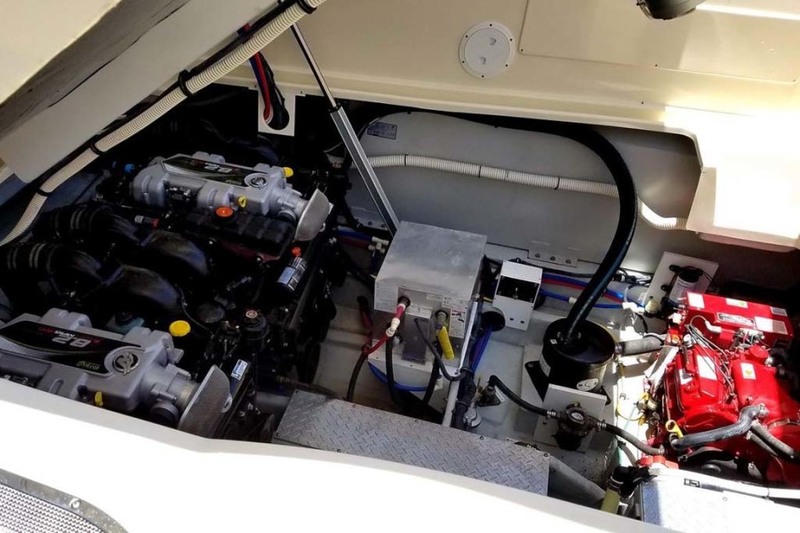 Only 190 Hours$40K Price ReductionStored Indoors at the Port Dry Stack FacilityUsed on Fresh Water(Lake Lanier) most of its lifeJust completed Mercruiser Engine ServicesNew EngineHatch ArmsFresh Detail and Cooling System Service! 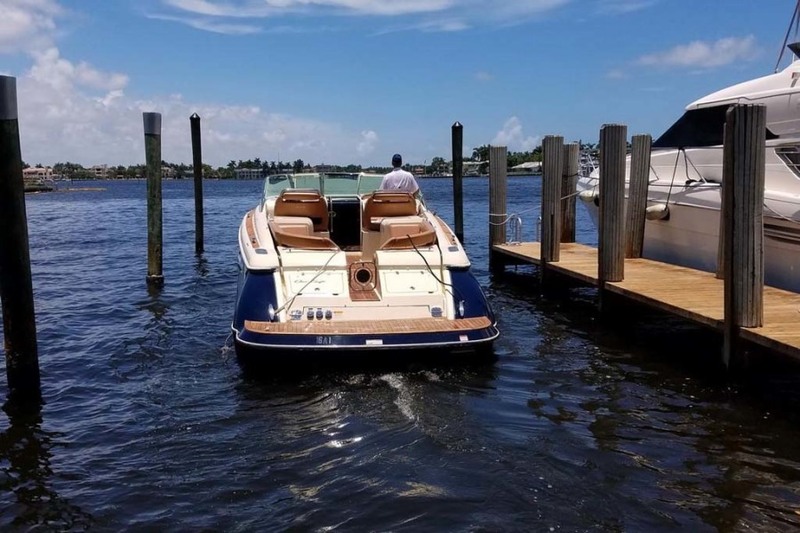 United Yacht Sales New Jersey would love to guide you through a personal showing of this 36' Chris-craft Corsair 36 2013. 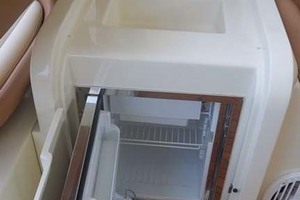 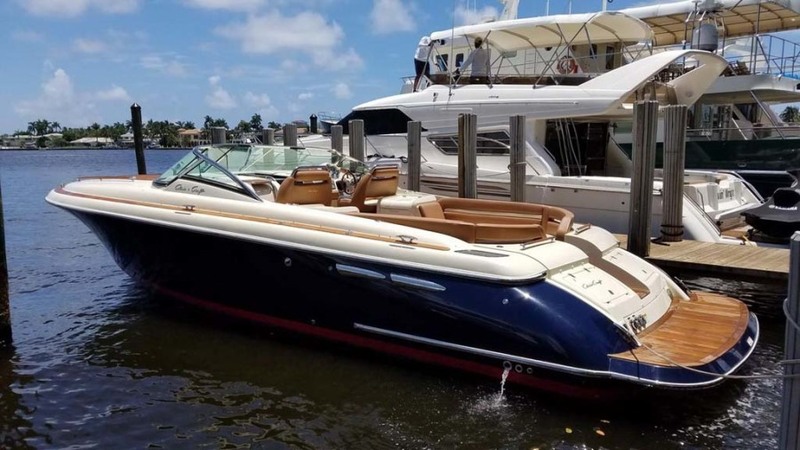 This yacht for sale is located in Fort Lauderdale, Florida and priced at $209,000. For a showing please contact us by filling out the form on this page and we will get back to you shortly! 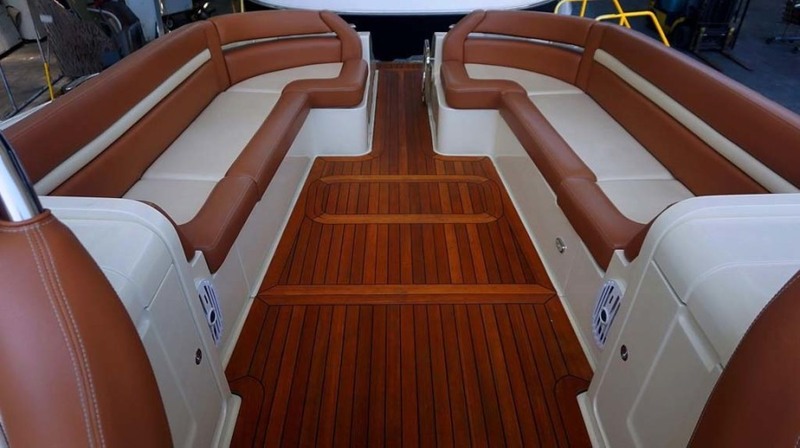 Like the Corsair 33, the 36 offers unprecedented interior space and luxury for a boat of this type. 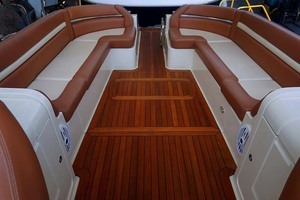 The forward cabin area of the Corsair 36 provides a full 6'2" of head room. 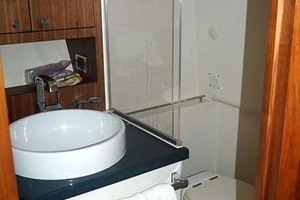 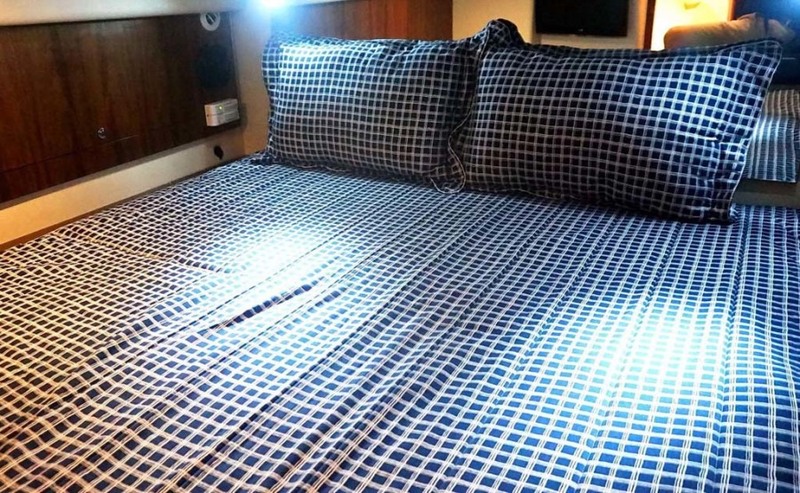 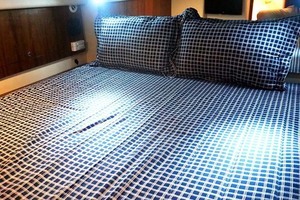 There is also a separate stateroom with queen size bed at the rear making this a boat that sleeps 4 easily. 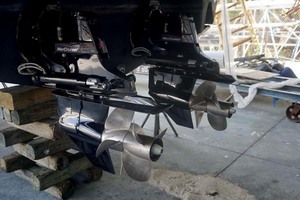 The Corsair 36 comes with standard twin V-8 engines with 560 hp. Alternatively, you can specify a range of Volvo or Mercruiser engines with up to 840 hp. 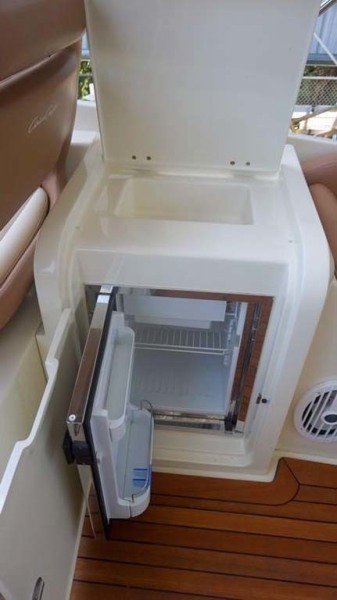 Diesel engines are also available. 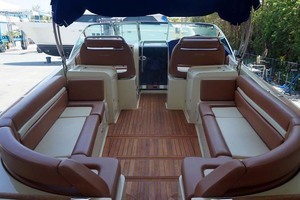 This beautiful 2013 Chris Craft 36 Corsair Heritage Edition is the cleanest and BEST PRICED on the market. 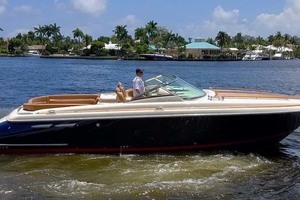 The Corsair is a nostalgic cruiser that will turn heads everywhere she goes. 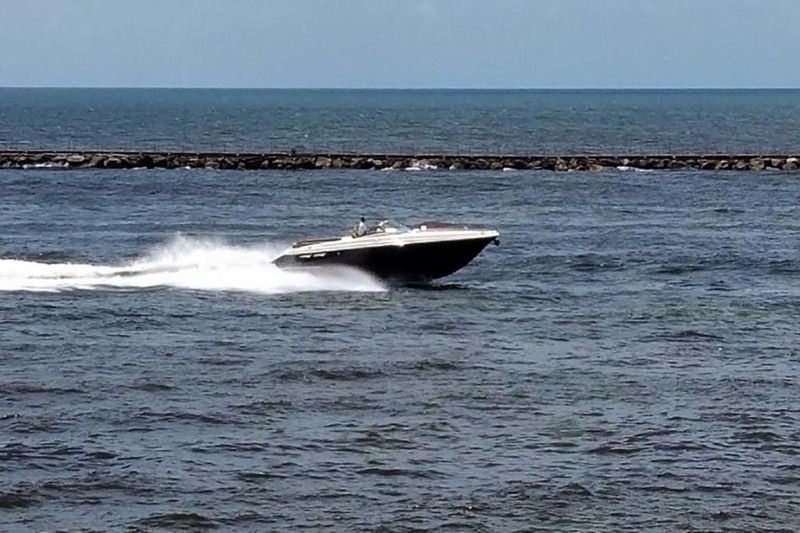 Gliding into your side tie at the restaurant the deep rumble of the engines will make you the envy of everyone watching you pull in to the dock. 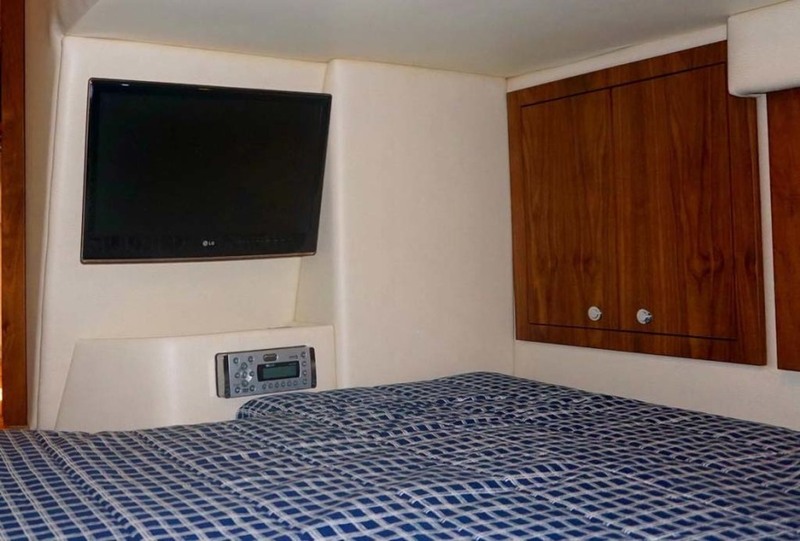 She is well optioned including windlass, electronics, air-conditioning, generator, vacu-flush head, wood salon sole, teak decks and bow thruster. 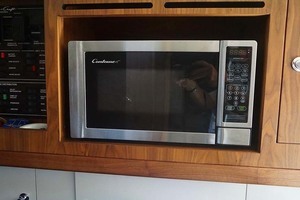 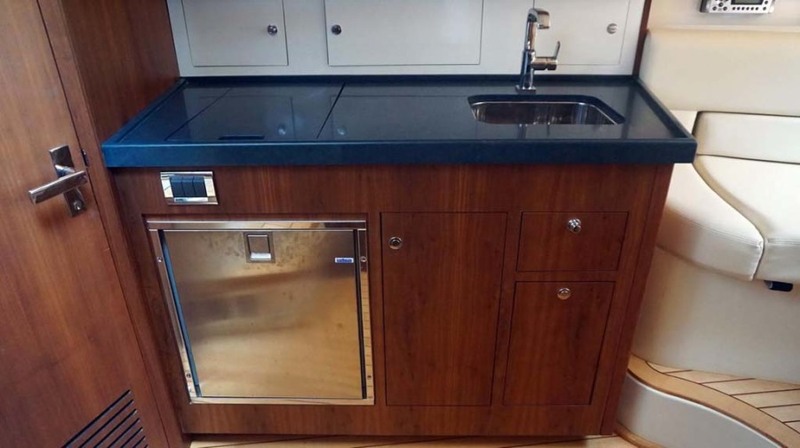 Being kept in inside storage allows this lightly used vessel to show like new. 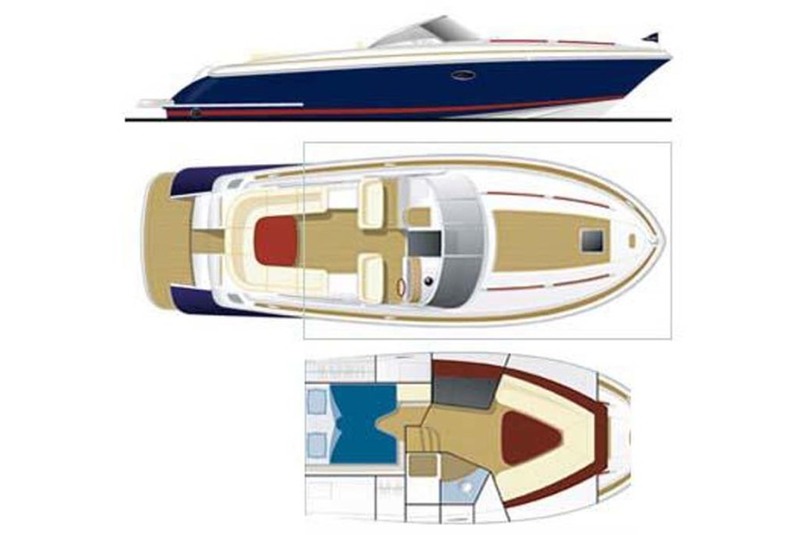 The Corsair is a classic American speedster with European flair. 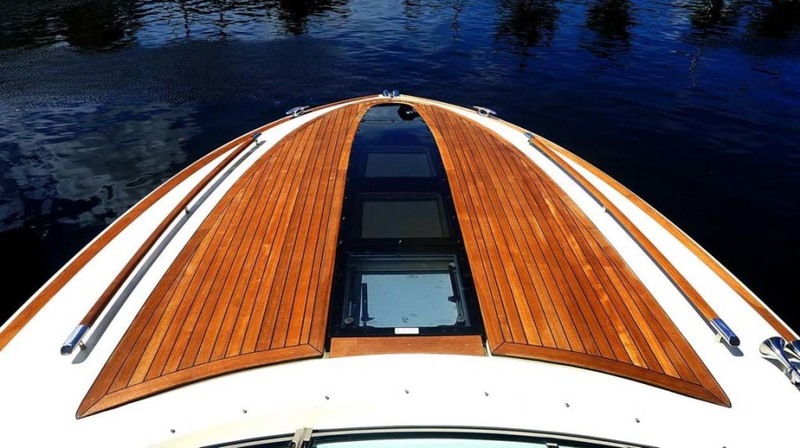 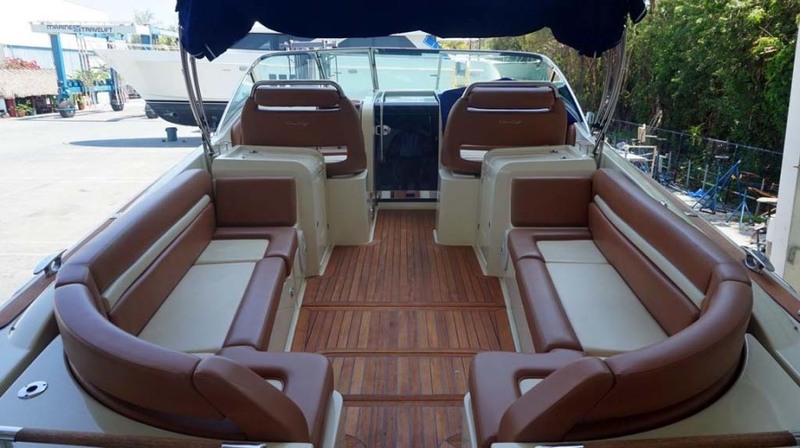 The comfortable and well-appointed cockpit complete with hydraulic table and bimini makes the Corsair a beautiful coastal and lake cruiser. 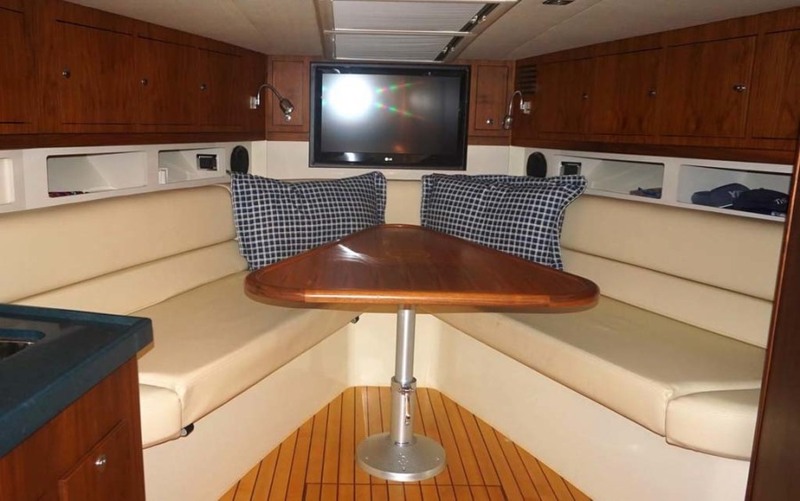 The interior is comfortable enough for weekend cruising for up to four persons. 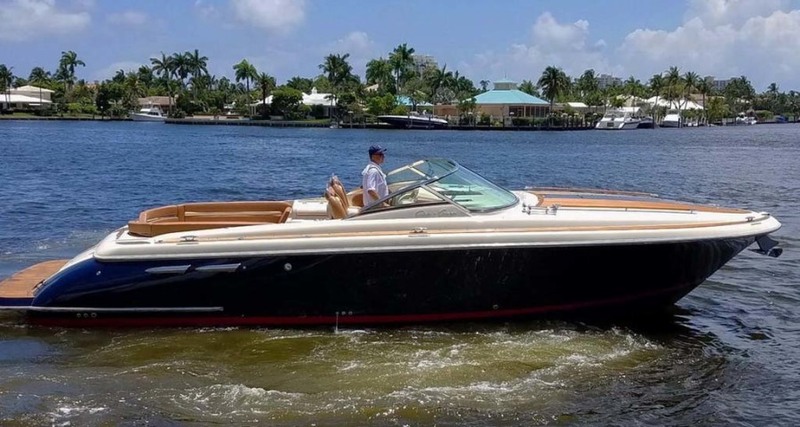 Her twin 420 H.P. 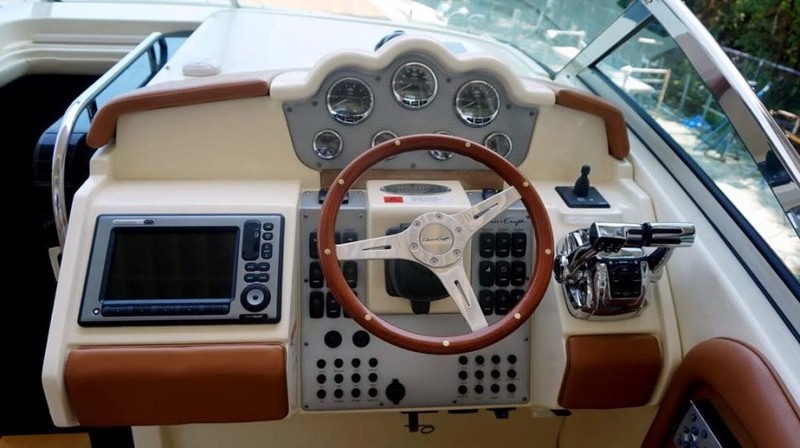 Magnum engines coupled with excellent hull design make for exhilarating handling that is sure to put a smile on your face. 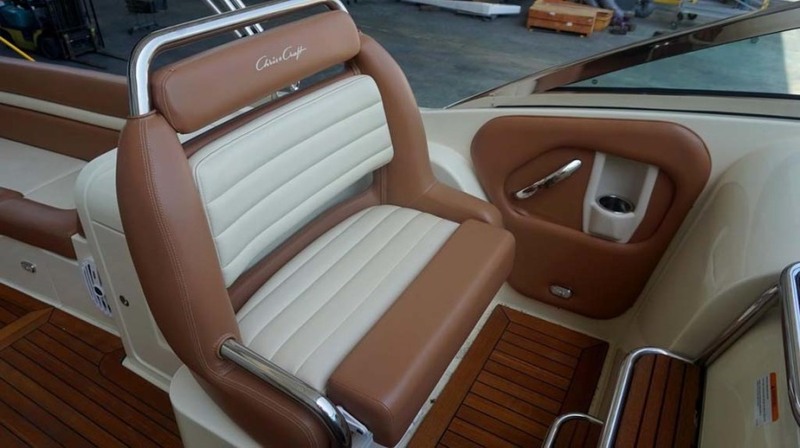 Day cruising, cocktail cruising, water sports and weekend getaways are all within the capabilities of this high quality, well designed and elegant yacht.Make an offer on this timeless beauty and do not be shy.Owner is anxious to sell and step into a center console to fish and run to the Bahamas!Come and buy the best deal on a Chris Craft on the market. 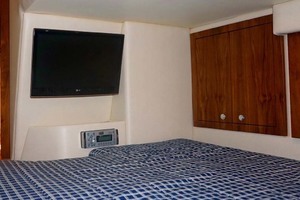 Sleeps 4: 2 in forward V-Berth and 2 in Aft Stateroom in double bed. 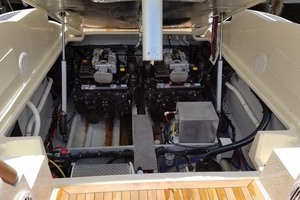 Mercruiser Bravo II engines. Outdrives have been serviced and new bellow seals installed. 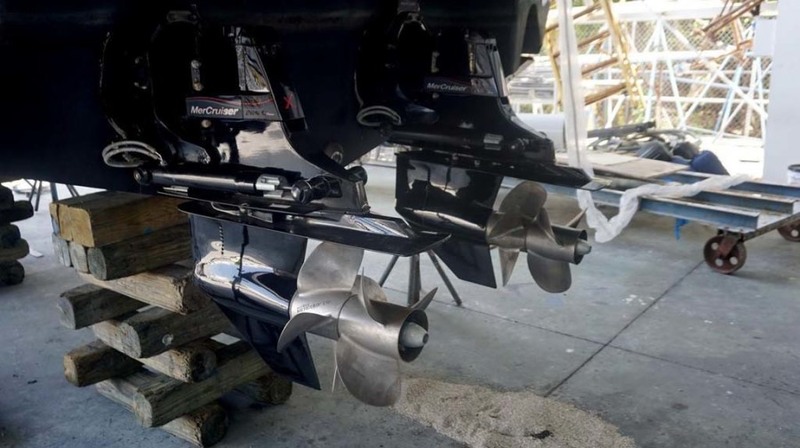 New batteries for the bow thruster. 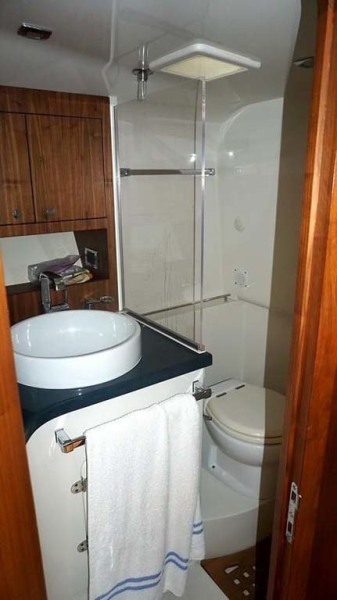 Constantly maintained. 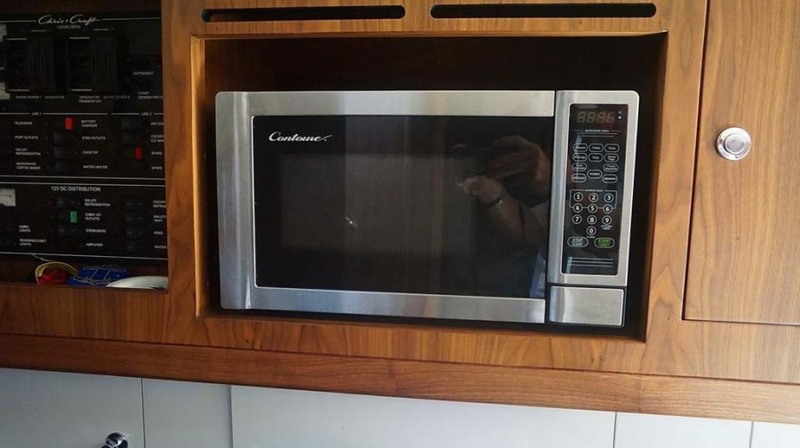 Shows as new with only 192 hours. 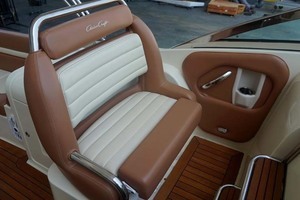 This beautiful Chris Craft 36 Corsair Heritage Edition is the cleanest on the market. 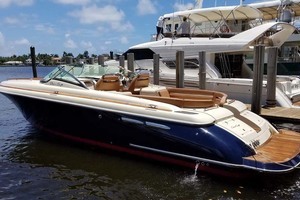 The Corsair was purchased by owner in 2014 as a demo boat for boat shows and transported to Lake Lanier where she has spent most of her time until she was recently transported to Fort Lauderdale where she is kept at Port Condo inside out of the weather. 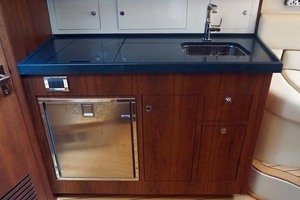 She is well optioned including remote windlass, electronics, air-conditioning, generator, vacu-flush head, wood salon sole, teak decks, electro hydraulic cocktail table and bimini--take note when comparing to other similar vessels on the market. 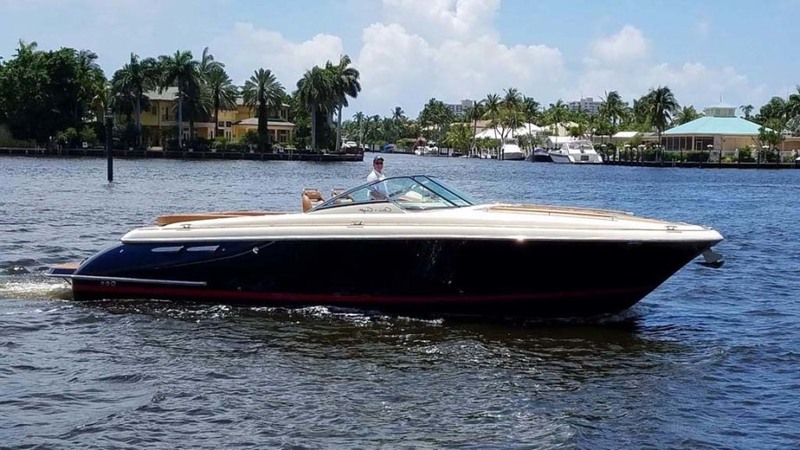 Being kept in inside storage allows this lightly used and optioned to the max vessel to show like new.The Corsair is a classic American speedster with European flair. 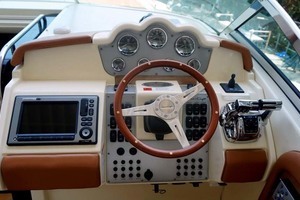 The comfortable and well-appointed cockpit makes the Corsair a beautiful coastal and lake cruiser. The interior is comfortable enough for weekend cruising for up to four persons. 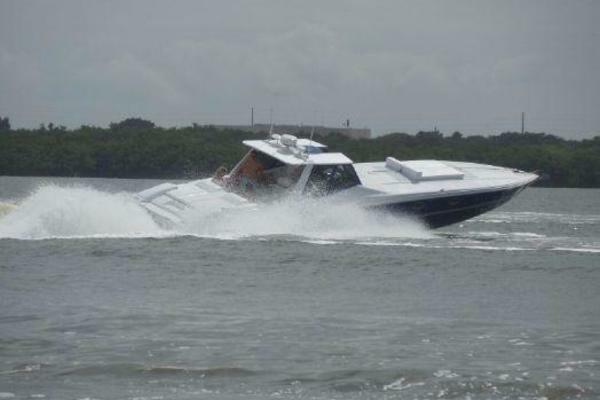 Her twin 420 H.P. 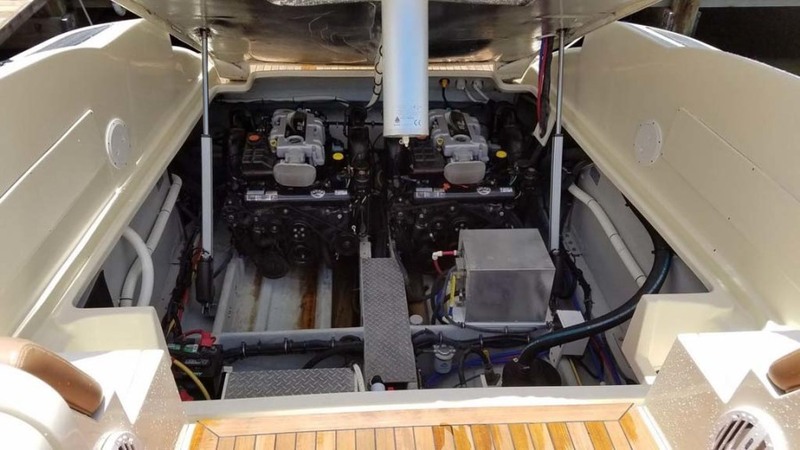 Magnum engines coupled with excellent hull design make for exhilarating handling that is sure to put a smile on your face. 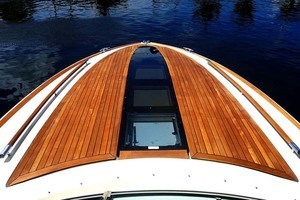 Day cruising, cocktail cruising, water sports and weekend getaways are all within the capabilities of this high quality, well designed and elegant yacht.